It got me thinking. Isn’t a blog there so you can write about things that move you. Well, this is what moved me this week. 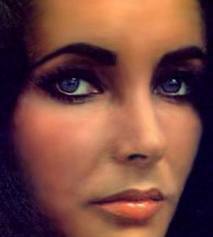 So here’s my homage to Liz, whose beauty, life and glamour were legendary. I’m of that generation for whom the movies of the 40s, 50s and 60s are still very real. They had a big influence on my teenage years in the 80s growing up in sleepy little Oxford. I can’t even count the number of bored Saturday and Sunday afternoons I must have spent watching afternoon matinees with the likes of Rock Hudson, Cary Grant, Gregory Peck, James Dean, Katherine Hepburn, and, of course, Liz, in film after film. I was enchanted with the glamourous world they inhabited. 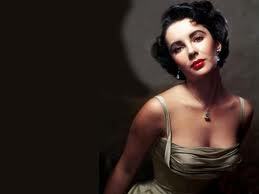 Liz, with her timeless beauty was the embodiment of all of this glamour. I have been trying desperately to find a picture which showed her in less than perfect light. It’s been in vain so far: rather annoyingly her petite, hourglass figure and oh so perfect face seemed to have no flaws. 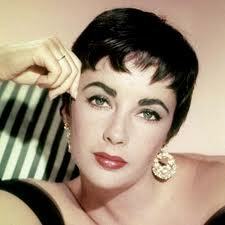 And the woman could act (‘stop press: beauty, brains and talent really can go hand in hand!’). Her breathless performances in Tennesse Williams’ ‘Cat on the Hot Tin Roof’ as Maggie the cat (one of my all time favourite films) and Virginia Wolf in ‘Whose afraid of Virginia Wolf’ are high on my list of films you have to watch before you die. As for her ‘look’, well it’s still being copied to this day: black eyeliner, red lips matched with perfect porcelain skin. So here’s my homage to perfect Liz who will be missed. Thank you for filling my life with your glamour, talent and sparkling beauty.